Running a web server in an actor is easy. Each actor run is available at a unique URL (container URL) which is in the form https://[container-key].runs.apify.net. This URL is available in the actor run object returned by the API and also in the actor run console. First import ExpressJS framework and body-parser. 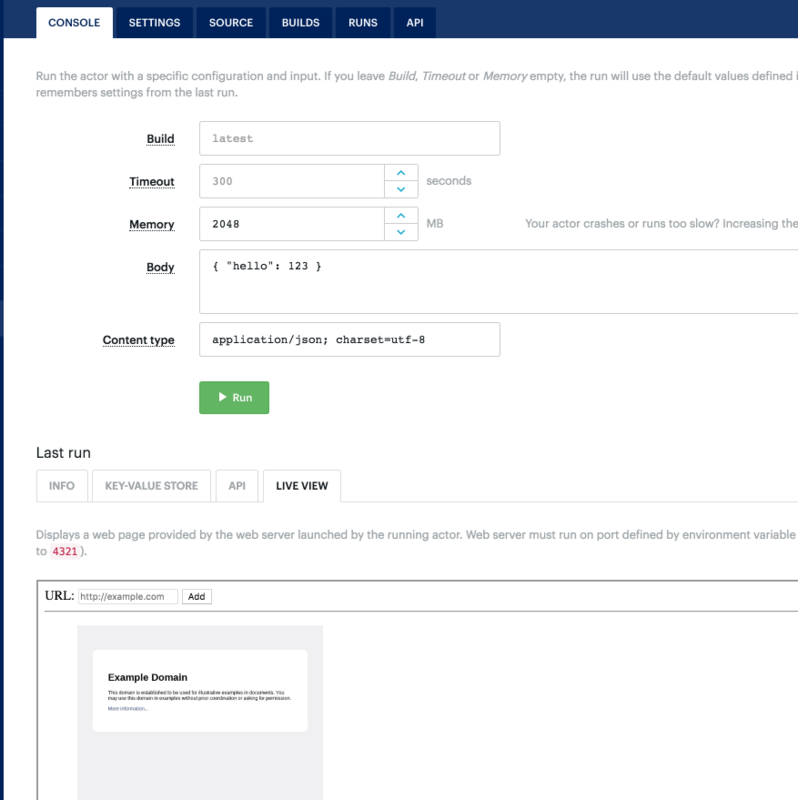 Create ExpressJS app and configure body parsers that will allow us to receive form submissions. And with a second path that receives the new URL submitted using the HTML form; after the URL is processed, it redirects the user back to the root path. // Start the web server! // ... save sreenshot to key-value store and add URL to processedUrls. The complete code of this actor is available in the library https://www.apify.com/apify/example-web-server . You can run it there or copy it to your account.